The government-owned Canadian Broadcasting Corporation has canceled airing of a BBC documentary on transgender children after a non-binary filmmaker accused of the documentary of spreading "transphobia." On Tuesday, CBC tweeted that it would be showing "Transgender Kids: Who Knows Best?" a documentary that features remarks from psychologist Dr. Kenneth Zucker, an established expert in the field of gender dysphoria who believes that many children suffering from gender dysphoria have a treatable mental disorder that can be corrected. "In this challenging documentary, we travel to Canada, where one of the world's leading experts in childhood gender dysphoria ... lost his job for challenging the new orthodoxy that children know best," CBC's online write-up of the documentary states. "Speaking on TV for the first time since his clinic was closed, Dr. Kenneth Zucker believes he is a victim of the politicization of transgender issues. The film presents evidence that most children with gender dysphoria eventually overcome the feelings without transitioning and questions the science behind the idea that a boy could somehow be born with a 'female brain' or vice versa." The documentary also features comments from a biological female named "Lou," who says her decision to have a double mastectomy in her attempt to transition to a man "haunts" her today. Although the documentary also includes insight from critics of Zucker's theories and methods, it didn't take long after the network posted about the documentary on Twitter that LGBT supporters responded with their disgust. "Please do not air this documentary. It disseminates inaccurate information about trans youth and gender dysphoria, and will feed transphobia," trans filmmaker Joshua Ferguson tweeted. "The documentary spreads misinformation & includes problematic 'experts.' @CBC should NOT be broadcasting this harmful film." After the backlash, the network announced Tuesday afternoon on Twitter that it would no longer be showing the documentary. "In light of our own further review of the doc, coupled with audience reaction, we have decided not to air 'Transgender Kids,'" CBC Docs tweeted. "We think there are other docs that better offer insight into the realities of the transgender community and we look forward to airing those in the future." In a statement provided to National Post, CBC spokesperson Chuck Thompson, added: "We felt that we were not in a position to adequately support the conversation and debate that would be sparked by the airing of the doc, and so made a decision to pull it from the schedule." Zucker was the former head of the Centre for Addiction and Mental Health's Gender Identity Clinic in Toronto. But after Zucker and his colleagues were accused of performing "reparative therapy" on transgender individuals, the clinic was subject to an external review. National Post notes that the review found that the center was "out of step with current clinical and operational practices" and eventually disbanded the center and fired Zucker. In an open letter to Centre for Addiction and Mental Health's board of trustees in 2016, 10 gender identity researchers argued that the decision to close the center was "politically motivated." "We further object to the indifference toward research and scholarship implied by the CAMH's closure of a 40-year-old clinic that had been a world-leader in the field of childhood gender identity disorder. We are also very concerned about the welfare of many Canadian children and families who were served by this clinic, whose mental health needs have essentially been dismissed by CAMH through its actions," the letter reads. "A close reading of the publicly available documents and their timeline points to the inescapable conclusion that the motivation of the CAMH in closing the clinic was primarily political." According to The Canadian Press, CBC was supposed to air the documentary on Thursday. In its place, it played the documentary "Dreaming of a Jewish Christmas." 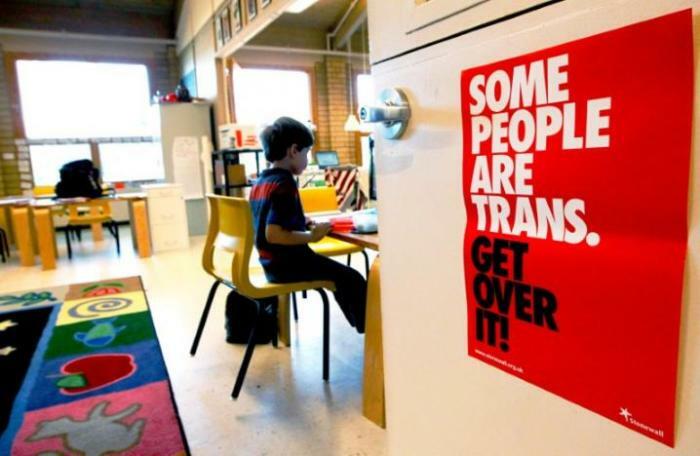 The "Transgender Kids" documentary was first shown in the U.K. in mid January and was largely condemned by LGBT activists at the time as being "violent," "one-sided" and "dangerous." An unsuccessful Change.org petition was also launched to pressure BBC not to air the documentary.